Money Mailer has a proven marketing product line that includes mail, online, social media and mobile. We bring you different ways to save and let you choose which method fits your business best. We have direct marketing solutions for everyone, whether you’re a hair salon in Fort Worth or an A/C company in Garland with 30 crews; we like to offer our customers options. If you’re not sure which option is the best for you, call us and a trained consultant can help you figure it out! The marketing world is evolving, and Money Mailer of DFW has evolved with it. We can target your prospects online in a variety of different ways! Give us a call to discuss what the best option would be for you. 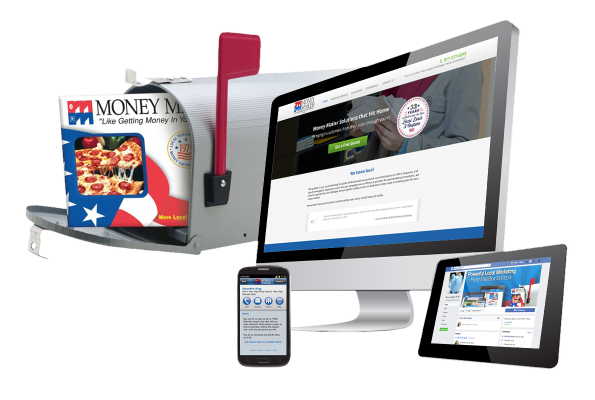 Money Mailer delivers savings every day! Put us to work for your business today.